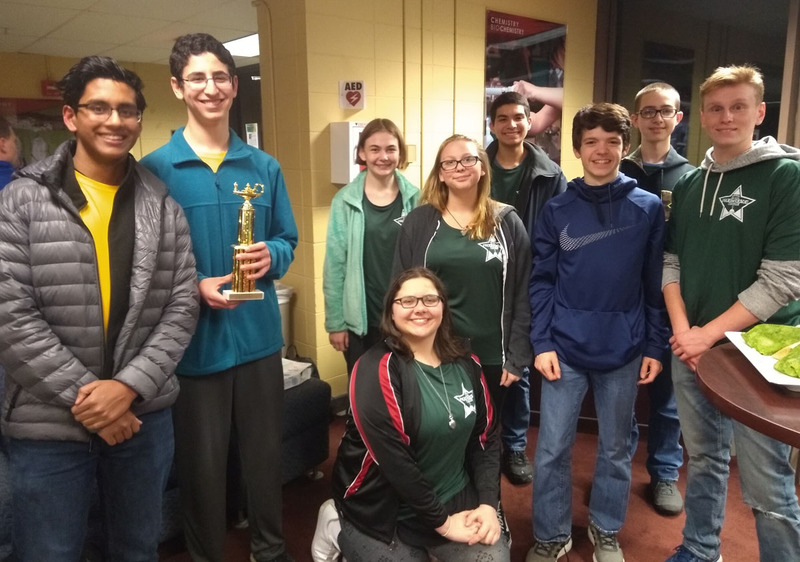 A team of students from Columbia High School won the 31st annual Siena College High School Computer Programming Contest on Friday evening. Columbia seniors Connor Roizman ’18 and Aviraj Mukherjee ’18, who have competed in this event for the past three years, won 1st place by solving 6 out of 7 questions (no one solved all 7) in the fastest total time. 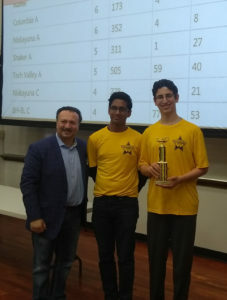 Transfinder CEO Tony Civitella, the event sponsor, with Connor Roizman and Avi Mukherjee at the Siena College Computer Programming Contest. 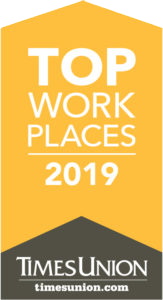 Two additional teams of Columbia students competed at the event and included Alaina Gosh, Rowan Fredericks, Noah Millan, Connor Hurley, Tyler Pearson, Nick Gabriel and Lauren Bartlett. “Each of the students did a great job of representing our school at the competition,” said Columbia math teacher Jessica Hladik. This year’s contest had 42 teams from 16 different local high schools. The competition questions, which include number theory to string manipulations, were written by the professors in the Siena College Computer Science department, who host the contest annually.